The Vaporfection miVape is the latest vaporizer on the market designed to be portable and work with both concentrates and dry herbs. We recently got the change to test this product, so read on for a detailed review of our experience with the miVape. Vaporfection is well known for the viVape, their cutting-edge desktop unit. With the miVape, they’ve taken the high-quality design of the viVape and applied to it a portable vape. Through convection heating, the device vaporizes substances by heating air to the point where it’s sufficient enough to form a vapor but still cool enough to avoid burning. The heating chamber is patented quartz crystal that can superheat air, all the while ensuring that no direct heat comes in contact with the substance in the chamber. This design means absolutely no burning, only amazing flavor and a super sweet scent. The digital temperature control system on the miVape allows adjustment of temperature so the vaporizer operates at any heating level below 430°F. You don’t ever need to worry about your substance combusting or having a slightly burnt and bitter flavor because the heating chamber never comes directly into contact with the heat. Setting the vaporizer to the required temperature isn’t complex either. Once the vaporizer is powered on, the temperature will automatically set to 350°F. You can then adjust the temperature using the plus and minus buttons. The temperature you set will reach and in approximately sixty seconds and then you may begin your vaping session. The battery life and temperature setting will be displayed for your viewing on the LED digital display. So many times, vapers tend to leave their vaporizer on for long durations. For such situations, there is an automatic shutdown feature that can be kept between 4-10 minutes. Long extended draws is the key to achieving large clouds of vapor. Try to keep the draw going for 10 seconds. Trying to get more than three is tricky and even the best of us needed a few tries to discover the right technique. Battery – Good or Not? In order to claim the title as the ‘best portable vaporizer,’ it is important that the battery is durable. The miVape comes with a lithium-ion polarized battery which is rechargeable and can run for 2 hours continuously on a single full charge. You can charge with the micro USB charging cord provided. A messy vaporizer that is hard to clean is every vaper’s worst enemy. But you can let out a sigh of relief as the miVape is surprisingly easy to clean and maintain. The glass pipe cleans hassle free and stays clean as a whistle. The gunk will accumulate if you don’t care for the product, of course. Nobody likes to clean their vaporizers after every session which is why having hassle free cleaning is always a plus point. You may think that cleaning out a glass pipe must be terribly difficult but it is surprisingly okay. Just don’t allow any build up and it will be clean as a whistle. Use alcohol and water to clean the vapor path and the brush to clean the product. The miVape is constructed from high-quality, medical-grade components. A lot of vaporizers boast portability when in reality the design is very bulky; the miVape, however, looks more or less like an average smartphone and is very pocket-friendly. It is probably the first truly pocket-friendly vaporizer of such high quality, and its ergonomic design fits nicely in your hand as well. The mouthpiece folds into the vaporizer when not in use, so you don’t worry about anything breaking while traveling. Its design makes miVape your best friend for vaping on the go. Vapers who put a lot of stock into convection heating and flavorful vapor are really going to enjoy using the miVape. Considering the performance and the vapor flavor, however, the miVape is still extremely competitive. You get a ton of accessories in the box with the product, which helps to justify the $260 price, but the price is a definite sticking point when compared to the other portable vapes in this price range. We would definitely like to see the price fall a bit. Currently, the miVape is available online exclusively at the Vapornation.com (you cannot find it in the other online vape stores). Shipping is free, and you may even get some free goodies as well. 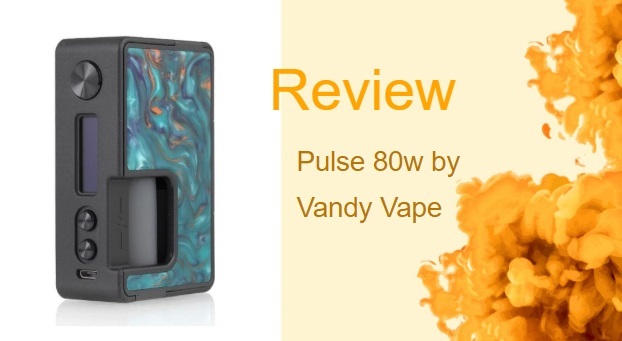 The VOOPOO TOO 180W box mod can be powered by either one or two cells, and has a maximum output capacity of between 80-180W. Read our review here.